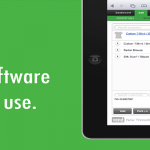 Unleashed is an easy-to-use cloud-based solution that total control of your stock and supply-chain, all in the cloud. With Unleashed, you can instantly update product details and stock on hand information across all your sales and inventory channels. Best of all, Unleashed is ready to integrate with Xero and Vend. Essential Office Solutions is an Unleashed trained professional partner, so we’re equipped to help you manage your transition to the cloud. We’re also your first line of call if you encounter any issues or simply have a question. A number of our clients use Unleashed for their inventory control, so we know how to manipulate the data so you can get the most out of the system. Contact us now for a free trial and to discuss how you can use the power of Unleashed in your business. Create grid layouts, select and group columns, change position, visibility and width. Ability to group fields in the grid, and display a sub total per group. Design your grid layout and save it as a template. Allows you to select from a list of saved layouts, or choose one to be the default template. Unleashed provides over 40 fields to help identify and accurately report on your products. The intuitive layout and designs makes working with large stock files a breeze. All your products and stock on hand information instantly updated across all of your sales and inventory channels. Update your stock information in one place and have those changes reflected across all of your stock locations means no re-keying or double handling.